GIBRALTAR Literary Festival is now underway. 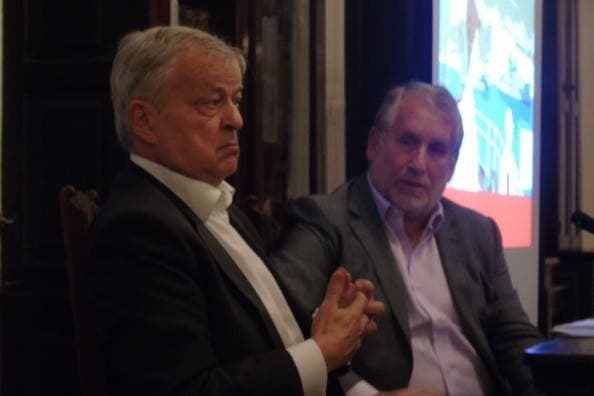 The four-day event kicked off yesterday with talks including Spanish football expert Guillem Balague on Cristiano Ronaldo and literary agent Andrew Lownie on spy Guy Burgess in Gibraltar. The founder of City AM was also interviewed by former editor of the Independent, Simon Kelner, before opening up a discussion on the future of print journalism. But there is still much more to come, including the arrival of celebrity chef Anthony Worrall Thompson on Saturday, who will be preparing a lunch at the Elliott O’Callaghan hotel before being interviewed at 5pm. Comedian Marcus Brigstocke is also scheduled for Saturday, and he will be discussing his own faith (or lack of) at 6pm in John Mackintosh Hall. Sunday’s highlights include historian Willliam Chislett on Spain 40 years after Franco, actress Maureen Lipman and a closing dinner made by Itamar Srulovich and Sarit Packer, the husband-and-wife team behind one of London’s most talked about restaurants, Honey & Co.
For a full review of the festival, pick up the next issue of the Gibraltar Olive Press.